We picked the three Extra Crispy Tenders that came with coleslaw and a biscuit. I’m always confused when we order from KFC because of how many different combinations there are. Even their website confused me when I went there trying to figure out what exactly to call my order. 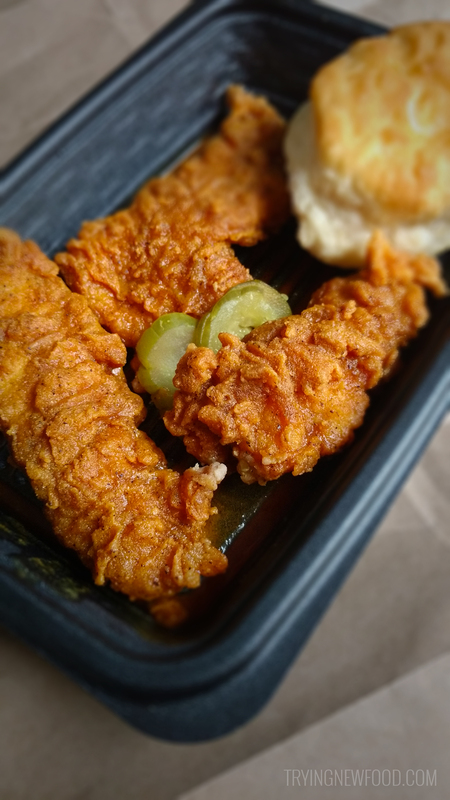 I started on their landing page, then selected the Extra Crispy Tenders page, where there are six ways to order them, but none match the 3 tenders, coleslaw, and a biscuit order. I ended up substituting out the coleslaw for mashed potatoes, because KFC mashed potatoes and gravy are so incredibly comforting. 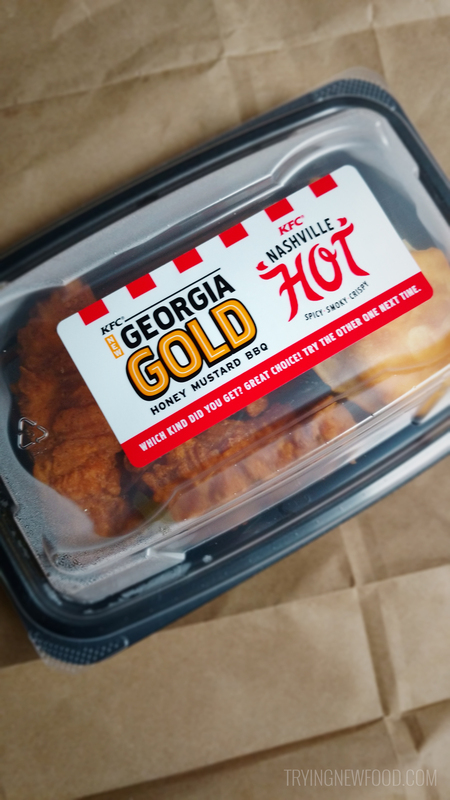 My order came with three KFC Georgia Gold Honey Mustard BBQ Chicken Extra Crispy Tenders, 2 pickles, 1 biscuit, and a side. Everything except the side came in this sealed container which did an excellent job at preventing any sauce from getting on the bag. We really liked this new flavor! It’s like normal honey mustard with a little BBQ tangy kick. I hadn’t had the Extra Crispy tenders before, and really liked the crispiness of the tenders. They went well with the biscuit and mashed potatoes. I ended up dipping the biscuit in the leftover sauce. Next time I’m craving chicken tenders, I’ll be stopping by KFC and getting this meal again.